Blade/Blade. If it was pin/Blade I would use an RCA cable. Dang, I don't have a Blade/Blade hanging around or else I would send it to ya! Well, thanks for the offer anyway! Huh. I never noticed that. Also noted for the future. You source a cable yet? No, but I haven’t been able to look, I was grounded for the past week. I’ll be on the hunt, and I’ll probably just get one new from Polk. "What did you do, Ray?" I was working on schoolwork (almost done, by the way, so real happy about that) and my dad come into my room to check on me. My tablet was sitting on top of the Technics TT, which sits right next to me as I work, and my dad thought he heard a “clunk”, and said it was me setting my tablet down on the TT. I tried to tell him otherwise, but eventually gave it up, deciding it wasn’t worth the argument, and just took the punishment, which was being grounded. TT rule #1: nothing gets placed on the TT ('cept vinyl). You cant win them all Micha. Lesson learned right? Dont leave the tablet near you while doing home work. On top of the cover, should have said that. And I was being rushed the night before, so I just set it down not thinking, and I didn’t notice until dad said something. Nothing gets placed on the turntable unless it is absolutely necessary, or I forgot I don’t think about it. Schoolwork in August is inhuman. Someone call Social Services! Mostly my fault, unfortunately. My mom hurt her back over the winter, and we never really started doing school again until May, because my mom couldn’t tell us to. We could have started up again ourselves, but to be honest, I didn’t even think about school, I mostly spent my time helping my mom with dinner, laundry, etc. One of the perks of being homeschooled is that we can still finish the year, no matter how late. If we weren’t homeschooled, I would have failed every single class, and would’ve had to wait another year to get into high school. I can’t I find this’ll on the internet, so I thought I’d ask you. How is the blade/blade cable wired? Wide/wide and thin/thin? Or opposites? I think I had your same question years ago. Please explain in more detail what you're asking us to explain about the interconnecting cable. Basically, how is it wired? Are the wide blades connected to each other, or are they connected wide/thin? That's what I thought you were asking. Ok, so I just had time to put everything together correctly, and let me just say, HOLY [email protected] This is amazing. I started Beatles 62-66, and Paul was behind me. 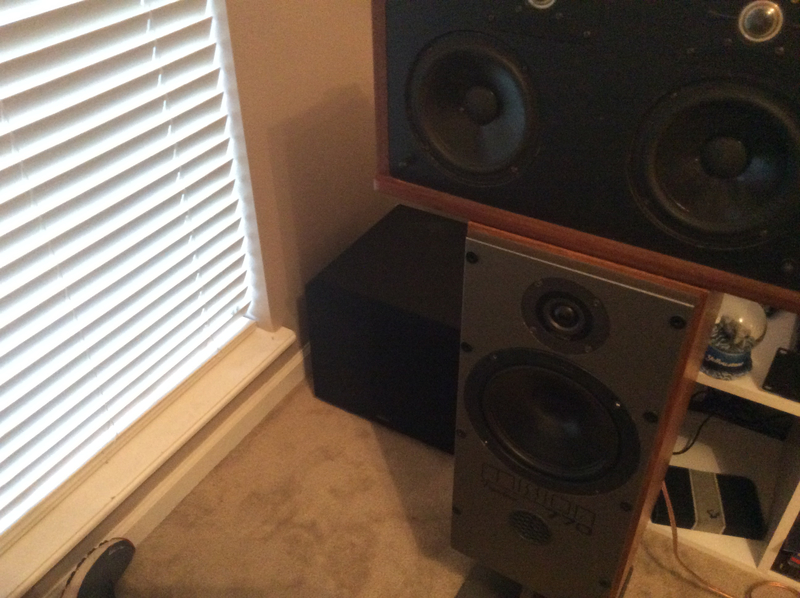 I then realized I was too close to the speakers, so I backed up a bit. Right now “And I Love Her” is playing, and the guitar on the left side of the sound stage was WAY beyond the left speaker. I’ve never heard anything like this. I have to turn it off soon, but I REALLY don’t want to. Judging by how school is going, I may not get to listen to it til next weekend. I am really gonna try and get school done QUICK tomorrow. Thanks so much to all of you, but now I’ve gotta vanish from the forum for the next few hours so I can listen to this. Micah, were the wired incorrectly? I know someone botched them up a bit. But I thought I had them back in order. If so I'm gonna have to ask you to return them to me and you can have the Infinites back! Oh.... and what did you do about the cross cable? I'm glad you finally heard what SDA's can do for a lot of recordings. I've been having a blast showing off their qualities for years. Except for a few bad years when I didn't meet many new people and the past couple since I've become jammed up with purchases. Somebody posted Polk RT12's today. Man I want them BUT I have no where to put them right now. The price is right too...maybe...at 250.00. But the ad says cond. is only GOOD. That might mean perfect to some and rough to others. I almost called to go see in person... but NO ROOM...darn it. Everything was correct AFAIK, I might have missed something when I pulled them apart and put them back together correctly. I used a 10-foot piece of Monoprice cables and put them into the connectors. I think the paper clips were the culprit, plus the integrated I was using had a lot of resistance between the terminals. I was at that point a few days ago. Then, I traded my friend @BassFreak101 my Technics, a Sony receiver, and the Bose 802 that has been sitting in my closet for a Velodyne VA-907 sub. I got rid of a bunch of stuff I wasn't using and wouldn't ever use, and now I have a sub that I really like. Thought someone may be interested, so here are some pics of the sub. The sub was refoamed by the original owner, but he did a terrible job, as the VC was rubbing, and you can see that by the amount of glue on the cone. (Also, original owner as in the person who owned it before Jace found it at GW.) Jace bought a surround to replace the bad one, and I offered to do it as I enjoy doing that kind of thing, and he wasn’t sure in his skills. After I fixed it, I fell in love with it. And now, it’s mine. It isn’t incredibly fast. I’ve never heard anything like it before. It blends with every speaker I’ve played it with really well. The specs don’t look good (in fact, spec-wise, it should be awful. 40-200 Hz, 80w RMS), although it is plenty loud and plays plenty deep for my music and volumes, but not for Jace’s. I gave it a workout this afternoon, and I was surprised by how loud it did get. It’s very efficient. I believe it is a servo sub, so it’s lightning fast. I didn’t think that the whole servo thing was all that great, but now that I’ve heard one, I’m not sure if I’ll ever go back to a sub that isn’t a servo, other than for HT. Long story short, I really REALLY like it. I think the cabinet needs to be sealed a bit better, which should improve the sound, but I can’t imagine it getting any better. I’ll stop ranting about how much I like it now. 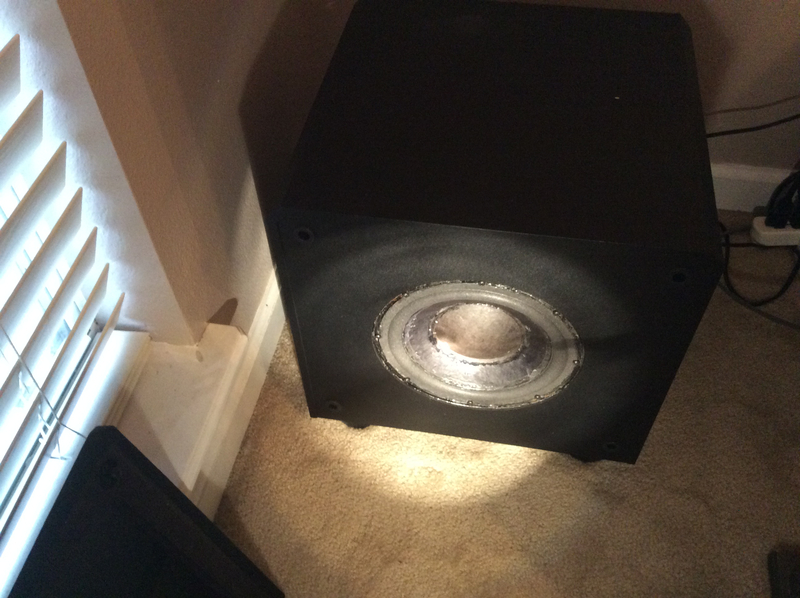 I had a Velodyne 12" sub once and I was VERY impressed with it also. They did subs right. Then came HSU and SVS. Def. Tech too. I’ve had quite a few of their models and always have been impressed with them. My CHT-10 was a bit slow, bit it was really designed for HT. I’m listening to Pink Floyd DSOTM on the SDAs right now, and the sound stage is amazing. The clocks at the beginning of “Time” are spectacular. The footsteps at the end of of “On The Run” are crazy. He (whoever is running) runs from my desk straight to my right almost to the window, and back again. The Velodyne covers the low end extreme leg well, and blends incredibly well, to the point of it not even soundings like it’s on. I can’t imagine what these would sound like fully decked out with modded XO’s and RD0 tweeters, and better equipment behind them. These continue to surpass my expectations with every song. The clarity from them is stunning. I’m hearing every tiny bit of distortion, every detail I’ve never heard before, every issue, every background noise. Even the distortion occupies a place in space. Thank you. All of you. I could not be happier with these speakers, yet I think that day will come when I get to mods. Don't get caught up in the details. I did that and now from time to time I have to turn the SDAs off as they don't sound up to par with what I expect from them. Granted this mostly stems from having standing waves galore in my room and an off center image due to the outside wall. Either way glad you are enjoying them dude. Keep rockin on!